The earliest Christian church consisted of Jews in the first century who had known Jesus and heard his teachings. It gradually grew and spread from the Middle East to other parts of the world, though not without controversy and hardship among its supporters. During the fourth century, after more than 300 years of persecution under Roman emperors, the church became established as a political as well as a spiritual power under the Emperor Constantine. Theological and political disagreements, however, served to widen the rift between members of the eastern (Greek-speaking) and western (Latin speaking) branches of the church. Eventually, the western portions of Europe came under the religious and political authority of the Roman Catholic Church. Eastern Europe and parts of Asia came under the authority of the Eastern Orthodox Church. In western Europe, the authority of the Roman Catholic Church remained largely unquestioned until the Renaissance in the 15th century. The invention of the printing press in Germany around 1440 made it possible for common people to have access to printed materials, including the Bible. This, in turn, enabled many to discover religious thinkers who had begun to question the authority of the Roman Catholic Church. One such figure, Martin Luther, a German priest and professor, started the movement known as the Protestant Reformation when he posted a list of 95 grievances against the Roman Catholic Church on a church door in Wittenberg, Germany, in 1517. Some 20 years later, a French/Swiss theologian, John Calvin, further refined the reformers’ new way of thinking about the nature of God and God’s relationship with humanity in what came to be known as Reformed theology. 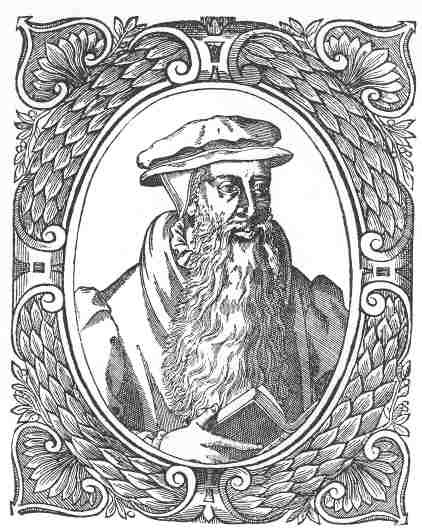 John Knox, a Scotsman who studied with Calvin in Geneva, Switzerland, took Calvin’s teachings back to Scotland. Other Reformed communities developed in England, Holland and France. The Presbyterian church traces its ancestry back primarily to Scotland and England. Presbyterians have featured prominently in United States history. The Rev. Francis Makemie, who arrived in the United States from Ireland in 1683, helped to organize the first American Presbytery at Philadelphia in 1706. In 1726, the Rev. William Tennent founded a ministerial “log college” in Pennsylvania. Twenty years later, the College of New Jersey (now known as Princeton University) was established. Other Presbyterian ministers, such as the Rev. Jonathan Edwards and the Rev. Gilbert Tennent, were driving forces in the so-called “Great Awakening,” a revivalist movement in the early 18th century. One of the signers of the Declaration of Independence, the Rev. John Witherspoon, was a Presbyterian minister and the president of Princeton University from 1768 to 1793. Presbyterian denominations in the United States have split and parts have reunited several times. Some bodies in the U.S. include the Presbyterian Church in America, the Cumberland Presbyterian Church, the Associate Reformed Presbyterian Church and most recently, ECO: A Covenant Order of Evangelical Presbyterians with which First Presbyterian Church, Florence, SC, has recently aligned (as of January 1, 2013).